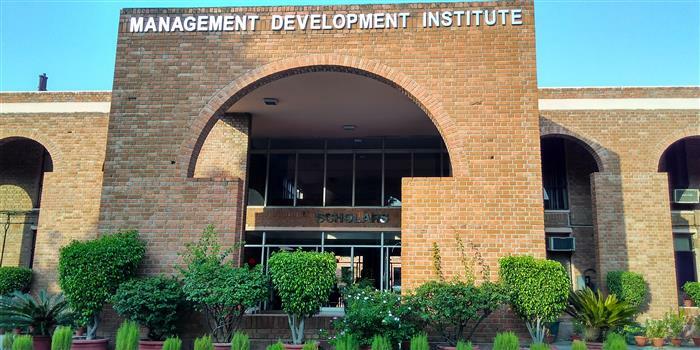 What struck me as the most unique part of MDI was how it was able to incorporate overall development of its students into every part of its being. It has a curriculum that stresses the importance of adopting a mix of both work and pleasure. This is done via various non-academic activities initiated by clubs like Sankriti, the cultural club, SportsCom for sports enthusiasts etc. that happen all the year around. Life at MDI is all about the balance between work and fun, as life should be. And on the rare occasion that the former threatens to skew the balance in its favour, one manages to find solace in the beauty and warmth of the lush green campus, as well as the friendly bantering of equally troubled people who huddle up at Sharma’s till 4 a.m.! It would be quite apt to say that life at MDI starts after 10 at night! I can’t stop myself from delving into a fact about MDI, how it gives you the liberty to be what you are… and what you want to be. It’s the perfect place for the energetic and boisterous, the quiet and thoughtful, the creative, the genius, the one who struggles with deadlines, and many of us who are yet to discover ourselves. The roads are perfect for a midnight stroll and would have given birth to many a poets in a less competitive environment. The library is perfect for assignments that require pin drop silence while the computer centre is the haven for group discussions that last through the night as there is air conditioning inside the room and an endless supply of snacks and coffee right outside the room. Sharma ji’s canteen deserves a much more detailed mention. Unanimously voted as the ultimate life saviour among ever hungry students, the place offers a varied platter of snacks and nostalgic moments that have gotten alumni’s taking time from their busy schedules just so they can order a plate of fried chicken momos and reminisce.. Working for an Aditya Birla Group company is a chance few would dare to let go. While I find multiple companies within the Aditya Birla Group a great place to begin my career at, if I were to choose only one, I would pick ABOF, its online fashion store. I am an ardent fan of online shopping, and buy most of my clothes online. I believe that there exists a bright future ahead for online fashion stores. And ABOF is a cherry on the cake due to a variety of reasons like a great variety of products across brands, ability to attract attention via discounts, association with a group that is a family name all over India. It’s my dream to be a part of the company.